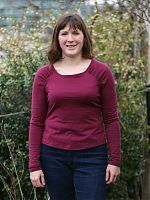 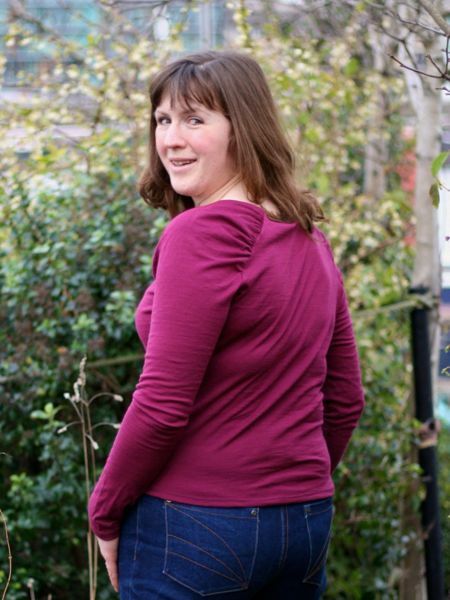 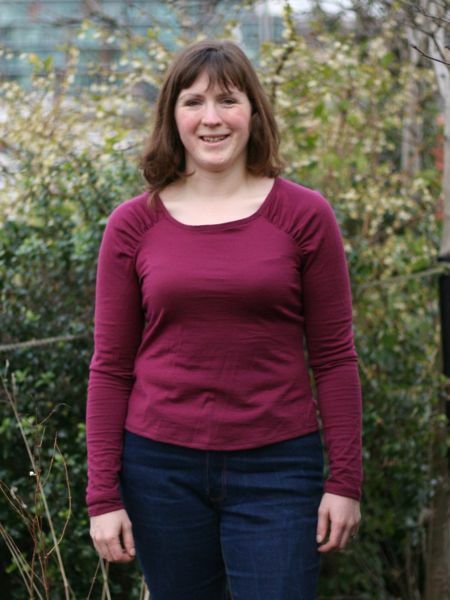 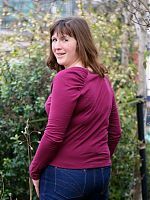 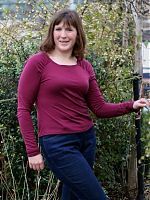 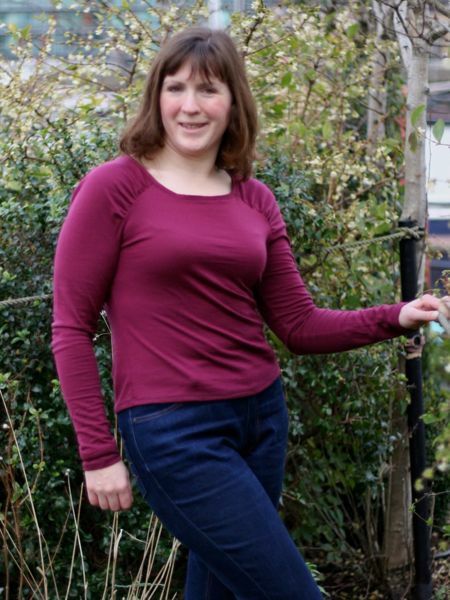 This pattern really is fantastic – I love the fit of it, and it’s quickly become one of those tops I reach for every morning! 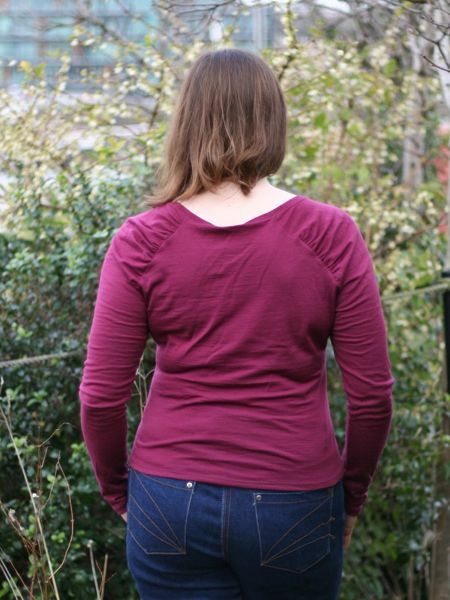 It’s got a nice amount of fabric in the gathers (there’s nothing worse than “skimpy gathering” on a pattern!) 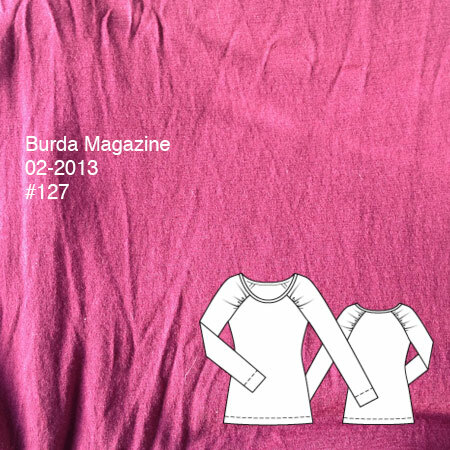 and everything matched up nicely. Some other reviews said the sleeves were overly long and the neck was overly low, but both were fine for me. 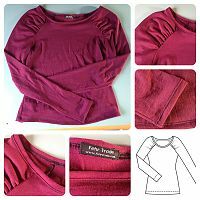 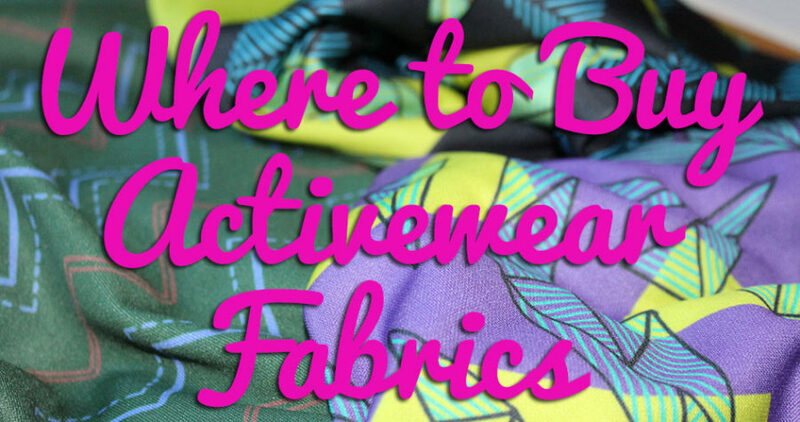 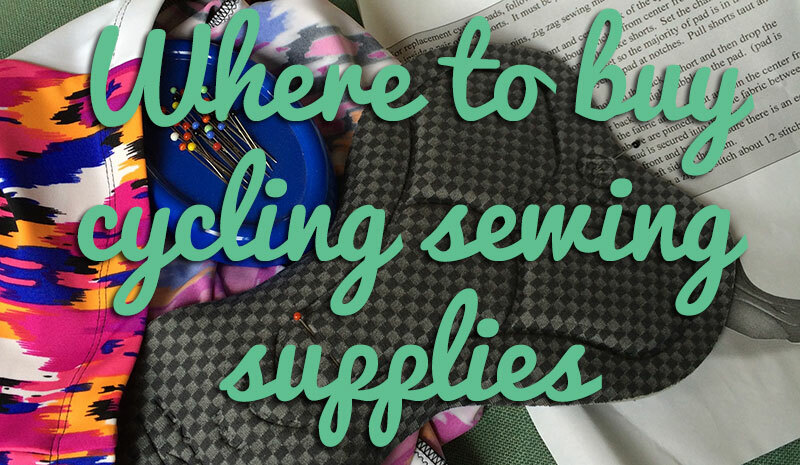 It’s also really easy and extremely quick to sew – it literally took me less than an hour to construct this! 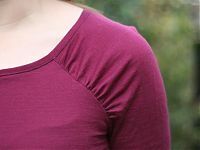 Next time I’d either use vilene bias tape on the neckline to stabilise it and/or cut the band a little shorter to pull it in, but it’s fine to wear as is, and the merino makes it so nice and warm without being bulky. 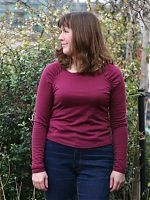 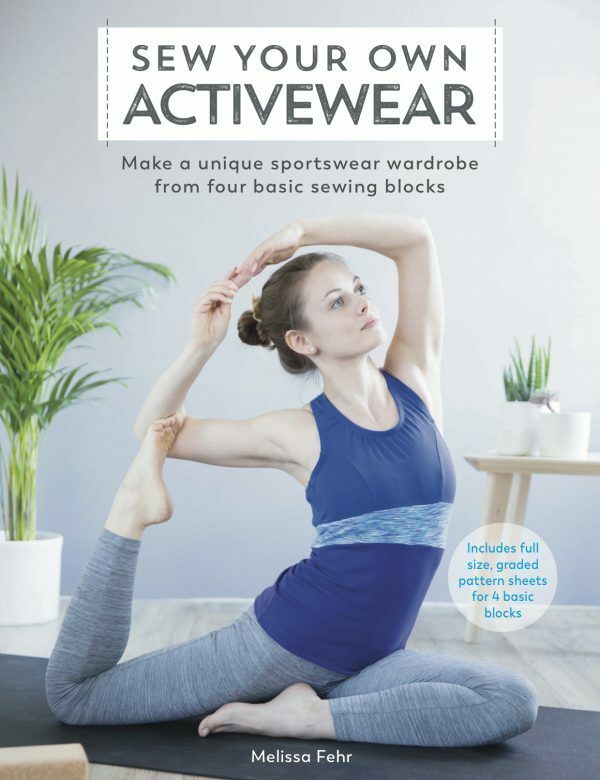 There’s a short sleeved version of this in the magazine, too, and I can totally see myself making a few more in viscose-lycra jersey as an alternative to a basic teeshirt. 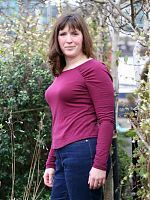 One word of caution – if you use the cutting line for the long sleeve version of this top, it’s really long in the body – much more like a tunic than a top! 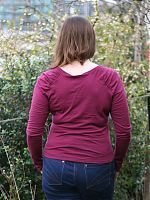 I chopped off about 13cm from my hem to make it more top-length. 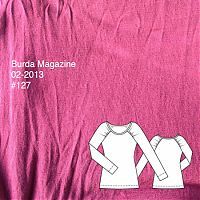 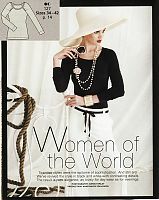 Separator image Posted in Gallery and tagged with bwof, top, wool.